Actually this pictures took weeks ago, but because there's a college committee activity, I had to stay a few nights out of town without internet. 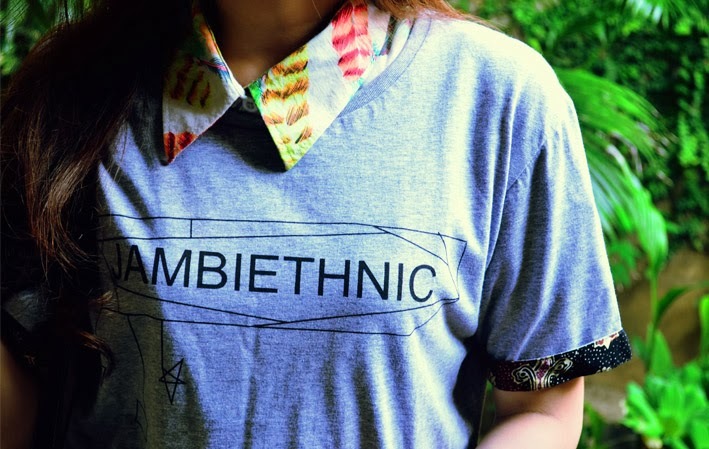 Got this super comfy tee from Jambiethnic, a local clothing by young talented guy who want to preserve Indonesian batik in a modern way, he also make batik snapback and shoes too! keceee!! luv the shoes and pant! girl your shoes are fab. I super like that tartan pants with the boots! Love the shoes, love the clothes, love the style i just love everything! would you mind checking my page, maybe leave a comment or follow me? I love your blog so much! cool outfit and love your pants so much! Ha- very interesting outfit you put together here : different prints, different styles... very gutsy of you to do so but I can see it works. I can't make it work with my physique, I guess it all depends on the way one looks, but you pull it off very casually. Inspired.